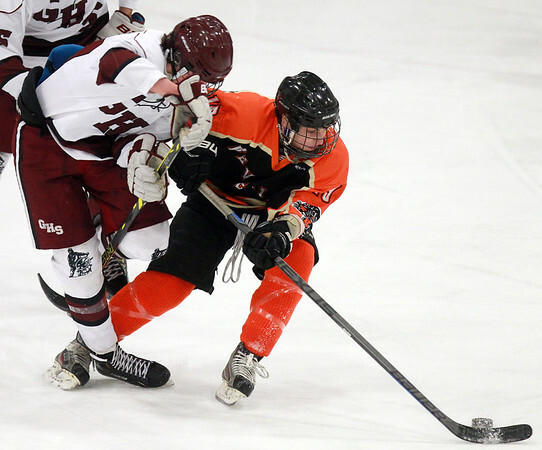 Beverly senior captain Clinton Cabral (19) spins away from a big check thrown by Gloucester freshman Brennan Ethan, left, while controlling the puck during the first period of play. DAVID LE/Staff photo. 2/4/15.